We want satisfied customers - who like to come back. Luopan or Lo Pan (trad. 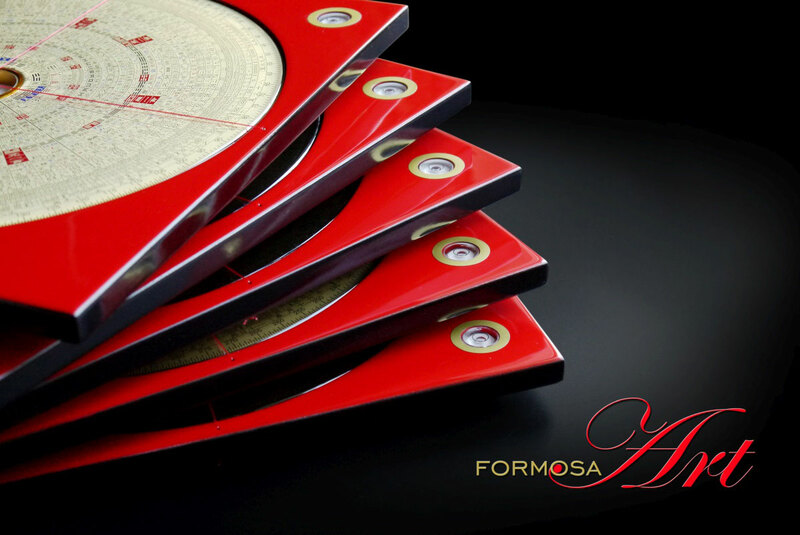 Chinese 羅盤) is a Chinese magnetic compass, also known as a Feng Shui compass. By using a Luopan practitioners can accurately determine the direction of their home, or space, and then create a detailed Bagua map. 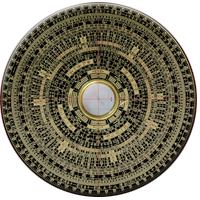 The Luopan, is a complex tool used in Feng Shui. Because of its intricate details and the complexities they involve, generally only Feng Shui masters and advanced practitioners understand all of the information provided by a Luopan. All of the detailed information is necessary for a true and accurate Feng Shui reading. Like a conventional compass, a Luopan is a direction finder. However, a Luopan differs from a compass in several ways. The most obvious difference is the Feng Shui formulas embedded in up to 40 concentric rings on the surface. 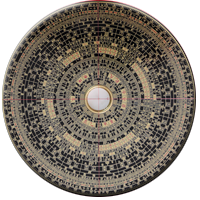 This is a metal or wooden plate known as the heaven dial. 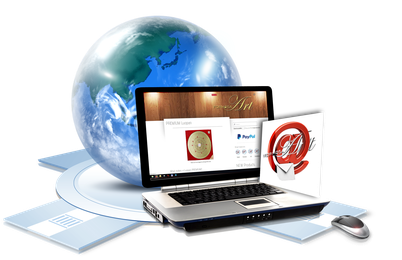 The circular metal or wooden plate typically sits on a wooden base known as the earth plate. The heaven dial rotates freely on the earth plate. 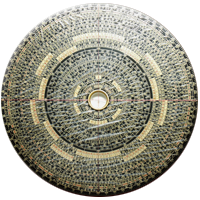 The wooden base of a Luopan, known as the earth plate, is square in shape so it can easily be aligned against structures and buildings. The earth plate is generally red in color to act as a strong protection keeping negative energy away from the Luopan. The color red in Feng Shui also symbolizes the element of fire and is a symbol of divine energy. A red wire or thread that crosses the earth plate and heaven dial at 90-degree angles is the Heaven Center Cross Line, or Red Cross Grid Line. This line is used to find the direction and note position on the rings. A conventional compass has markings for four or eight directions, while a Luopan typically contains markings for 24 directions. This translates to 15 degrees per direction. The Sun takes approximately 15.2 days to traverse a solar term, a series of 24 points on the ecliptic. Since there are 360 degrees on the Luopan and approximately 365.25 days in a mean solar year, each degree on a Luopan approximates a terrestrial day. Although there are a large number of different kinds of Chinese compasses, the three most common types are the San Yuan, the San He Luopan and the Zong He Luopan. 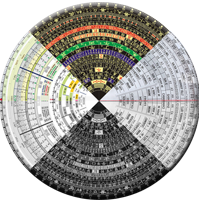 Each of these have several common rings including the Early Heaven arrangements, the Later Heaven arrangements and the 24 directions. 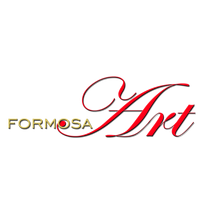 Our product group CLASSY is the largest we offer. Many different type and sizes, even different sizes compasses are available. Here you will find a selection different types of Luo Pan. A Poly Gloss protection is optional available. The IMPERIAL Luo Pan is a customazation, but also available for sales. A combination of the San Yuan and San He Luopans. The Zong He Luopan contains the ring of the 64 hexagrams of the I-Ching and the three distinct 24 direction rings. The Zong He Luopan is the choice of Feng Shui practitioners that follow the principles of the Three Cycles System and the Three Combinations System.